You are here: Home / Walk It Out / Wondering About Your Life’s Purpose? Wondering About Your Life’s Purpose? Are you wondering about your life’s purpose? Wouldn’t it be amazing if you could know for sure that you’re totally in God’s will for your life? You’re not alone. All over the world there are people just like you, wondering … and wandering. Maybe you question why you are here on earth. You have no clue what difference you can make. You want to be a person who can make a difference in the lives of others, but how can you do that when you have no idea how to even help yourself? Deep down you may have an inkling that the Bible has the answers, but how can an ancient book help with today’s problems? It’s amazing how simple steps of obedience have led to all the mind-blowing things that God has done in my life. I’m now the author of over seventy books from publishers like Random House and Harper Collins, and the mom of ten children. Yet, just as important, I still reach out to teen moms in the inner city, and I am still open to loving the one person-in-need God places before me that day. By this point you may be thinking, That’s good for you, but God doesn’t have those types of plans for my life. And you know what, you’re right. Those are God’s plans for me. He has unique and wonderful plans specifically designed for you! And there is only one way to find out what they are: by reading God’s Word and choosing to obey God’s directives. These directives will lead you inward, to discovering a place of healing deep inside your heart. They will also lead you outward, to loving others in unique ways of caring and service. God’s Word, that ancient book, does apply to everyday life. My life—and all the radical results that came from my obedience—proves that. Your life can prove it, too. 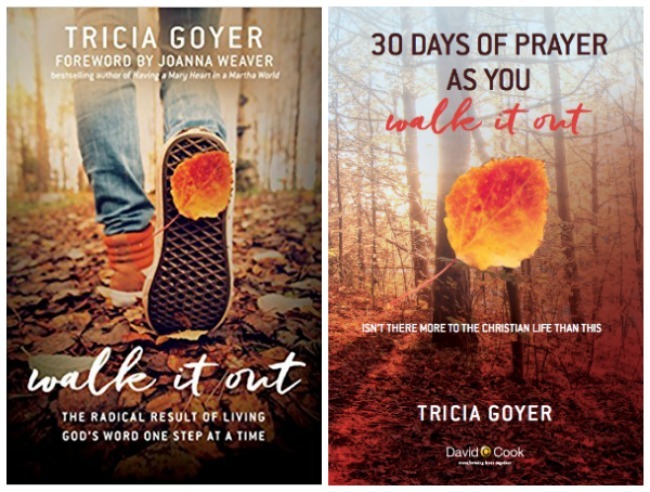 And to make it easy for you, I want to invite you to grab a copy of my new book, Walk it Out: The Radical Results of Living God’s Word One Step at a Time. This book releases soon, and my deepest hope is that my story can help inspire yours. My desire is that you will see how God can take a very ordinary person, one who seeks ease and comfort, and He can transform her (or him!) into someone who is impacting others in real and tangible ways. I truly feel I’m living my life’s purpose, yet it’s only happened as I’ve taken one obedient step at a time to love God and to love others. Ready to discover the big purposes God has for you and how to step into them? Walk it Out is currently being offered as a pre-order special, discounted from the list price. Not only that, if you order Walk It Out before the October 1 release date I have a special gift for you. It’s a free ebook, 30 Days of Prayer as You Walk It Out. Follow the link provided on this page to discover how this free resource can be yours. This free prayer guide will only be available to those who are pre-ordering the book. And the best part is, you won’t have to wait. This prayer guide, centered on the truths in God’s Word, can show up in your inbox today. All you have to do is follow the link and take a few simple steps. Remember, check the link on this page to discover how this free prayer guide can be yours today. Also remember that knowing and following God’s will doesn’t have to be a mystery. You can discover it one step at a time … starting today! 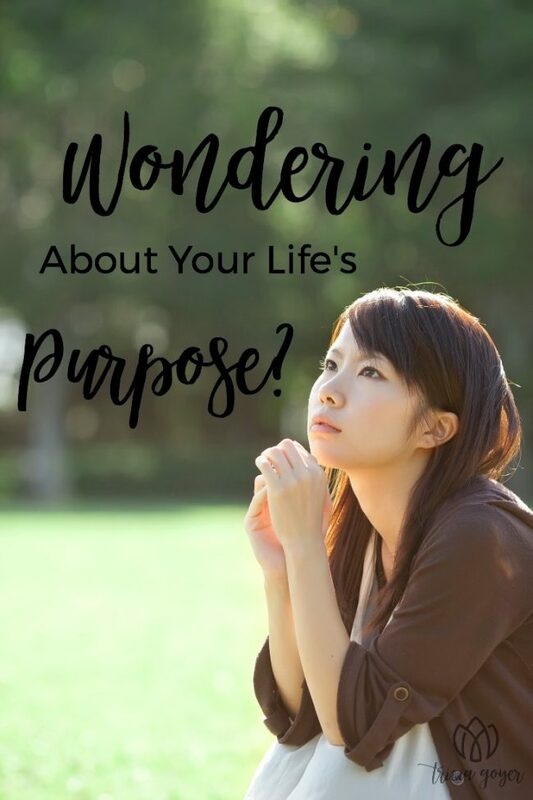 Wondering About Your Life’s Purpose? Read more on @TriciaGoyer’s blog today!